If you’re thinking of buying a new home or investing in property in New Zealand. There are of course the big banks, international banks, credit unions and many second and third tier banks who are all wanting to offer you a home loan, but which one is right for you? – It’s wise to use a mortgage broker. It’s a free service to you and there is no obligation. Large mortgage brokers can also have “better rates” because of their buying power. With a fixed mortgage, your interest rate is set up-front, usually for a period of between six months and five years. This means that, regardless of whether interest rates in New Zealand go up or down during that time, your rate will not change. While knowing exactly how much you’ll have to pay is great for budgeting, this certainty often comes at a cost. Fixed mortgages tend to be less flexible than floating loans, with stiff penalties for early termination and restrictions on making additional lump-sum repayments. A mortgage term is usually much longer than five years – generally 25 or 30 years. At the end of the fixed period you may be able to lock in your rates for another period, or your interest may revert to a floating rate, based on the Official Cash Rate (OCR) set by the Reserve Bank of New Zealand. Since 2014, fixed mortgages have been more popular with New Zealand home buyers than floating mortgages, with the last available figures (from January 2017) showing that 60% of home buyers opted to secure their rates. With a floating or variable rate mortgage your interest will be closely tied to the rates set by the Reserve Bank of New Zealand. If interest rates rise, your repayments will go up. If they fall, the repayments will decrease. Over the 25- to 30-year term of the average home loan, this can result in major fluctuations in the amount you’ll have to pay. Clearly, a floating mortgage exposes you to higher risk than a fixed loan, so before you apply you’ll need to consider the impact it will have on your financial position if rates go up. Before agreeing to offer you a mortgage, lenders will look carefully at your ability to service a loan at a higher interest rate, especially if interest rate increases are anticipated. Despite the higher risk, having a floating rate will give you great flexibility. Most lenders will allow you to make extra repayments, including larger lump-sum payments, so you can reduce your mortgage balance more quickly. Some mortgages also allow you to redraw any extra payments you have made if you need the cash at a later stage. If you decide to sell your house or find yourself in the position to repay your entire mortgage early, you may be able to terminate your flexible loan without penalty, which is rarely possible with a fixed loan. Use this home loan calculator to work out your repayments. A split mortgage, or combination loan, may be the best of both worlds. 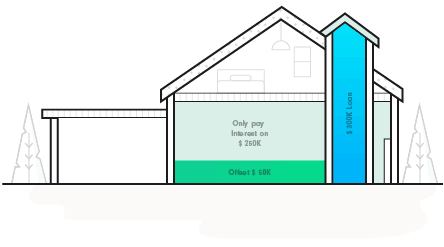 It allows you to split your mortgage into different portions, with different interest rates. You could choose to fix your rates on different portions of the loan for different terms, or have some fixed and some floating. For example, you could split it. 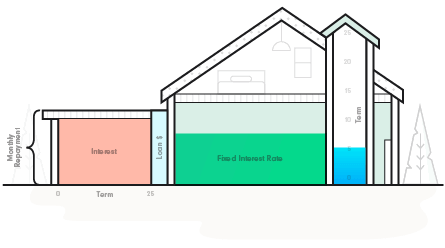 50% on a fixed rate for 5 years and the other 50% on a floating rate over the full term. With a split loan you get some certainty over your future costs, so you won’t be as heavily exposed to rising interest rates as you would be with a fully floating loan. Meanwhile, you can still benefit from any drop in interest rates, and take advantage of the ability to make extra repayments on the floating portion. A low deposit loan is one where you have less than 20% (for home buyers) or less than 35% (for investors) to offer as a deposit. Some lenders will lend up to 95% of the value of a property (a very high ‘loan-to-value’ ratio or ‘LVR’), but these low-deposit mortgages are not easy to come by. A good savings record (you have saved the 5% deposit yourself rather than received it as a gift). If you take out a low-deposit loan you can expect to be charged an additional ‘low equity’ fee – a premium or margin on your interest rate that you’ll have to pay until you increase the equity in your property to at least 20% (35% for investors). Expect to make higher repayments on your loan, too – lenders will probably want you to build at least 20% equity fast. The Welcome Home Loan is a unique type of low-deposit loan which doesn’t fall within the Reserve Bank of New Zealand LVR restrictions. Welcome Home loans are underwritten by Housing New Zealand, and are a special initiative to help New Zealanders with lower incomes buy a first home. 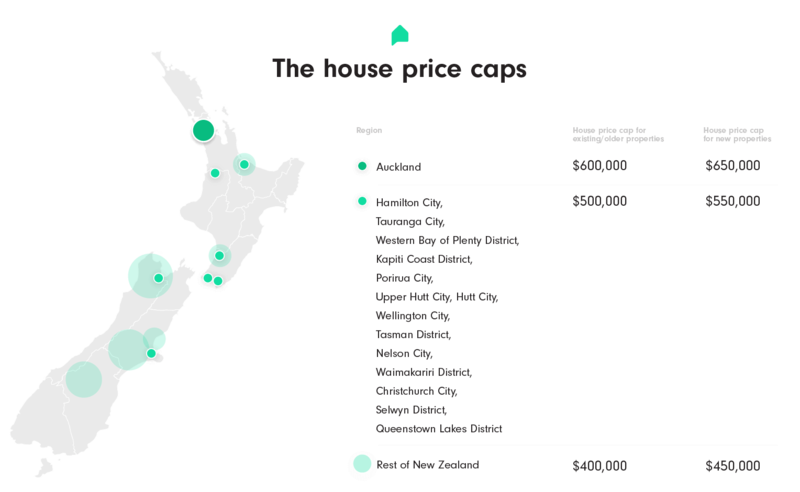 The property price must be less than the house price caps for your region. With an interest-only mortgage you pay regular interest on your loan, but do not pay off any of the principal. This means that you can expect to pay lower instalments, but that the loan balance – and therefore the amount of interest you have to pay – does not reduce over time. At the end of the interest-only period the loan will either have to be paid in full, or convert to a floating or fixed mortgage. You still owe the full amount you have borrowed, and you have built no additional equity in the property. Interest only mortgages are usually short term, with a term of up to five years. This type of mortgage is most popular with property investors who plan, for example, to renovate and then sell the property in a relatively short period of time, or who are relying on gains through rising property prices to outweigh their borrowing costs. New Zealand bank lending criteria make it harder for owner-occupiers to access interest-only loans, which is reflected in the statistics: around 40% of investors opt for this type of loan, compared to just 15% of owner occupiers. As of March 31, 2018 the new Labour Government is extending the 2 year Brightline test to 5 years. This means that if you buy and sell an investment property inside 5 years it will be subject to capital gains tax should you sell the house for more than you purchased it for. An offset mortgage allows you to minimise the amount of interest you pay on your loan, while still giving you ready access to your cash. You can link one or more everyday or savings accounts to your mortgage account, and you’ll only pay interest on the difference between the balance in those accounts and your mortgage balance. 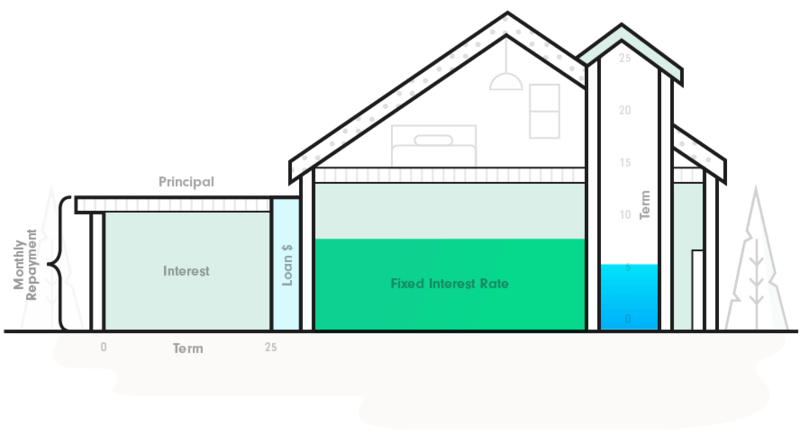 This option is usually only available for floating rate or split loans. Unlike a traditional mortgage, with a revolving credit facility your borrowings are linked to a transaction account, much like an overdraft. You’ll have an agreed credit limit (i.e. 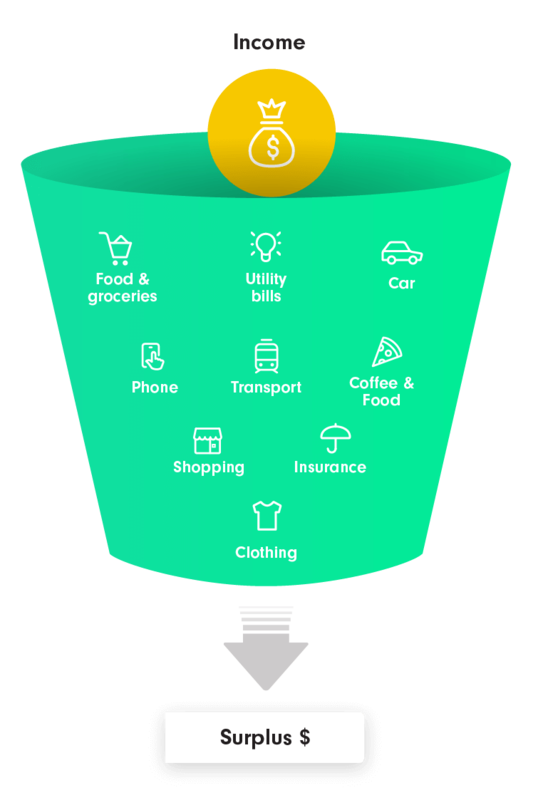 an amount up to which you can borrow) and you’ll use your account as you would any everyday account – paying in your earnings and drawing on it to pay your bills and living costs. The interest will only be charged on the amount of funds you have drawn at any time, not on the total credit limit. Interest is calculated daily, so every cent you can keep in the account will cut down the cost of your borrowings. Each month, your credit limit will be reduced by a fixed amount – but unless you’re operating right at the limit, you won’t have to make regular, fixed-sum repayments like you would with a regular home loan. This can make a revolving credit loan an appealing option for people with irregular income. Where do I go for a mortgage in New Zealand? If you want to apply for a mortgage you can either approach a bank direct, or speak to a mortgage broker. Many people choose a bank with which they already have a relationship, but it always pays to shop around and find the loan product that best suits your needs. You may also find some good deals on interest rates or help with other costs such as insurance or legal fees. Banks are super competitive and often larger mortgage broker firms are able to use their superior negotiation skills and volume to secure you a better rate. Comparing mortgages can be very confusing – there’s much more to it than simply picking the lowest interest rate. Mortgage brokers in New Zealand must also be registered financial advisors and they can help you understand and distinguish between mortgage products. If you don’t want to work with a broker it’s wise to seek independent advice from your accountant or financial advisor. If you don’t meet the banks’ lending criteria you may still be able to get a mortgage from an alternative source, for example lenders that specialise in home loans for people with poor credit ratings. Many of the alternative lenders can only be accessed via a home loan broker. You won’t pay a fee for their services as they’ll receive a commission from the lender instead. However, no mortgage broker deals with every lender so you could miss out on a good deal elsewhere. Which type of home loan should I choose? There’s much more involved in choosing a mortgage than simply picking the product with the lowest interest rate. Choosing the wrong type or structure of home loan could leave you locked into an expensive or restrictive arrangement – and cost you thousands of dollars in the long term. The standard home loan term in New Zealand is now 30 years. A longer term means lower monthly repayments, making the loan more affordable in the short term – but the longer you borrow for, the more interest you will pay in total. By opting for a shorter loan term, or by choosing a floating loan with the flexibility to make additional repayments and pay off your loan balance more quickly, you could end up saving tens or even hundreds of thousands of dollars. Higher repayments could put you under more financial pressure, of course, especially if interest rates rise. As outlined above, there are several options when it comes to interest rates, each with their own pros and cons. The right structure for you will depend on many factors including whether you value certainty over flexibility, your tax position, and whether you are planning to own a home for a long time or quickly flip an investment property. Most New Zealand mortgages are structured as a ‘table’ loan, with regular, fixed repayments over a period of time. In the early years of the loan, most of those repayments are interest, with only a small amount being taken off your mortgage balance. As time goes on and your home loan balance begins to reduce, a greater proportion of each repayment goes to paying off the principal. Both fixed and floating mortgages are usually structured as table loans, and with a floating loan you can expect to be able to make additional repayments to reduce your loan balance more quickly. An alternative to the table loan is a reducing, or flat loan, where you pay a fixed amount off the principal of your loan each month, along with an interest payment on the amount you owe. 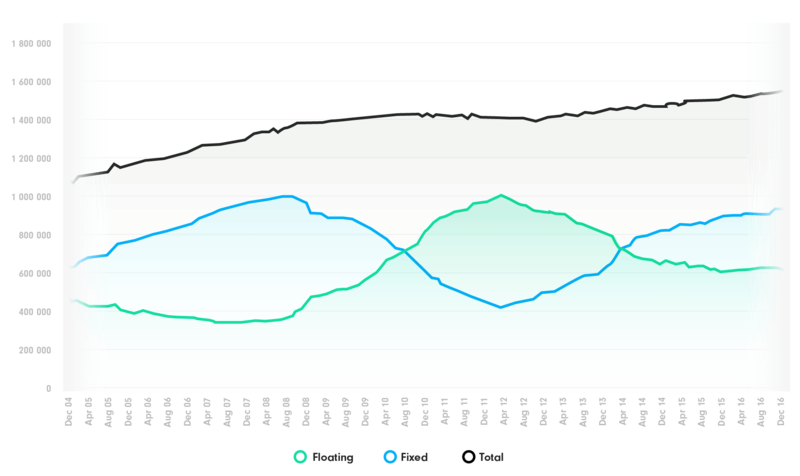 This usually results in very high initial repayments, but much lower payments later in the loan term. While not common in New Zealand, flat loans suit some home buyers and investors who expect their income to reduce in the future. They can also result in big interest savings since the principal will be lowered more quickly. If you are self-employed or have fluctuating income, a revolving credit loan (outlined above) may be more appealing than a mortgage with fixed repayments. Each home loan will attract different costs, from application fees, to regular administration charges, to penalties for early payments or termination. Be sure you understand all the costs before you settle on a product, because the fees can quickly mount up. And if those fees are added to your mortgage balance, you’ll even end up paying interest on them too. If you don’t have a deposit of at least 20% or 35% (depending on whether you’re buying your property as a home or as an investment), you won’t be able to apply for many of the home loans available in New Zealand. You may still be able to apply for a low-deposit loan or a Welcome Home Loan, if you meet the eligibility and lending criteria. How much deposit will I need to save? As a general rule, if you’re buying a home in New Zealand you’ll need to have a deposit of at least 20% of the value of the property to secure a mortgage. If you’re planning to buy an investment property rather than somewhere to live, that minimum deposit rises to 35%. You may find that you’ll be able to borrow less – i.e. you’ll need a higher deposit – if the property you’re planning to buy is an apartment. It may be possible to get a mortgage with a deposit of as little as 5% (see low-deposit loans above), but unless you are a high earner with an excellent credit record it can be very tough to secure a mortgage without a decent deposit. 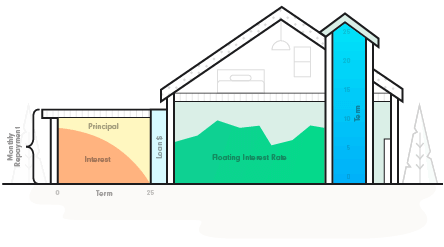 You could always consider buying a small house in the best location. In most cases, if it won’t matter to the lender whether you saved for your deposit or whether you received it as a gift – unless you’re applying for a low-deposit loan, in which case you’ll need to show that you have saved the 5% deposit yourself. If you’re planning to borrow your deposit, though, you may hit difficulties – potential lenders will take your existing financial obligations into account when assessing your application. If friends or family are keen to help out with your deposit you can ask them to act as a guarantor instead. If you’re trying to secure a low-deposit mortgage you may hear the term ‘LVR thresholds’. This refers to a set of restrictions imposed by the Reserve Bank of New Zealand, which limit the percentage of mortgages banks can offer to people with high ‘loan-to-value’ (LVR) ratios – i.e. where you have less than 20% (for home buyers) or 35% (for investors) deposit. The LVR restrictions were introduced in 2013 because house prices were rising sharply and increasing numbers of New Zealanders were taking out high-risk low deposit loans. 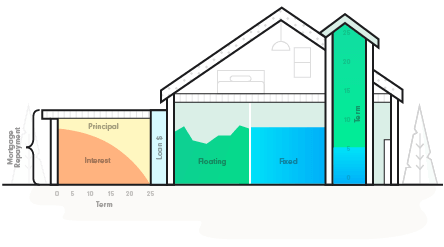 The rules are designed to ‘build resilience’ into the financial system, by limiting the number of property owners with high levels of debt. The LVR restrictions only apply to New Zealand’s banks, so if you don’t meet their lending criteria you may be able to turn to an alternative lender for your home loan – be aware, though, that you could face higher costs and restrictive conditions since non-bank lenders are not regulated in the same way. Having a deposit of any size – even if it’s well above the 20% or 35% LVR threshold – is no guarantee that you’ll be able to get a home loan. While lenders will look at a number of factors, including your credit rating and financial history, the most important criterion for banks is serviceability. They need assurance that you aren’t stretching your financial resources too far, and that you’ll still be able to meet your loan repayments even if there’s an increase in interest rates. Each bank will use their own system to decide if, and how much, they are willing to lend to you. They may apply a percentage – e.g. that your home loan repayments mustn’t exceed 40% of your income – or require you to have a predetermined amount of ‘uncommitted monthly income’ as a surplus after your regular expenses are covered. If you’re applying for a low-deposit loan the bank will usually expect a higher level of uncommitted income, to mitigate the greater risk that you’ll default on repayments. If you’re planning to buy a property with others, the banks will consider your combined position – including all your income, financial obligations and existing debts. If you’re buying alone but planning to rent to tenants or flatmates, you’ll need to check with your lender whether they will accept prospective rent as part of your income. Each bank has different lending limits and specific criteria, so there’s no hard-and-fast rule on the amount you’ll be able to borrow, but these mortgage calculators are a good starting place. How much will my home loan cost? 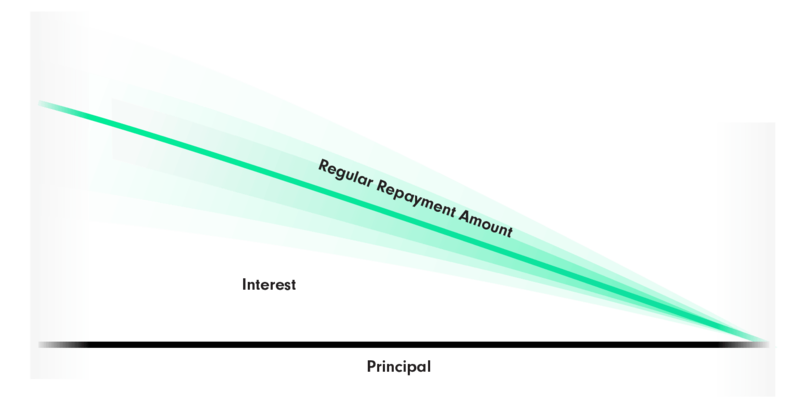 How you structure your repayments. There’s a lot more to take into account when weighing up the cost of your home loan than the advertised interest rates. Application fees, ongoing administration costs and penalty charges can mount up quickly so it’s important to investigate everything. Remember, too, that the longer you borrow for, the longer you’ll be paying interest – so even at a lower rate, a longer-term mortgage (for example 30 years instead of 25) could cost you thousands more in total. The quicker you reduce your loan principal, the more interest you’ll save – so a fixed interest rate may end up being more expensive than a higher floating rate if you’re not permitted to make additional repayments during the fixed period. Still, the interest rate is an important starting place, and rates can vary widely even on similar products, so it’s wise to shop around. The following interest rate comparison table will give you an idea of how rates can vary (last updated March 2018). If you’re having difficulty distinguishing between products or ascertaining the fees and charges, consider speaking to a reputable mortgage broker for guidance. With some types of home loan – typically low deposit loans, Welcome Home Loans or loans to first home owners with minimal credit history, you may be required to pay a premium on top of your interest and other charges for lenders mortgage insurance. This protects the lender in case you default on your loan and can be paid as a one-off premium, or added to your loan balance (which means you’ll pay interest on it for the lifetime of the loan). It’s a big expense which you might be able to save if you can find a way to raise a larger deposit. Lenders’ mortgage insurance is completely separate from mortgage protection insurance, which is an income protection policy for you and is often a prudent investment. If you fall ill, have an accident or lose your job this will cover your mortgage payments or a fixed proportion of your income for a specified period, depending on your policy. I’m investing in property in New Zealand – what are my options? If you are not planning to live in the property you’re buying, you will be automatically excluded from applying for a Welcome Home Loan, even if you haven’t owned property before. As an investor you can apply for any other type of loan, but you’ll be expected to have a deposit of at least 35% (rather than the 20% required for an owner-occupied purchase) or your loan application will be categorised as low-deposit (high-LVR). Low deposit loans are especially hard for investors to secure, as banks are only allowed to lend up to 5% of their residential mortgages to high-LVR lenders. Different lenders tend to prefer different investment strategies, so it’s well worth chatting to a reputable mortgage broker for advice on which lenders would be the best fit for your long-term goals. I’m migrating to New Zealand – what are my options? If you’re moving to New Zealand from oversees, the home-buying process may be different to what you’re used to. You’ll find an excellent guide on the New Zealand Immigration website which covers all everything from the types of houses available in New Zealand to the legal process of buying a property. Provided that you are going to be living in New Zealand you won’t need to worry about the new restrictions on foreign nationals buying property. And if you have permanent residency you may even qualify for a Welcome Home Loan if you meet the eligibility criteria. As a migrant you can apply for any of the types of home loan available in New Zealand, but you may hit difficulties if you don’t have a New Zealand credit rating. Some banks have specialists who work with migrants and can help you overcome obstacles like this – or a mortgage broker may be able to help you find lenders who are willing to work with new arrivals from overseas. As with any other property buyer, choosing a mortgage will depend on your financial circumstances, your long-term plans and the amount of money you have available to use as a deposit. Given that the tax and banking environment may be substantially different from that in your country of origin, your first step should be to seek professional advice to help you choose and structure your mortgage. How do I apply for a home loan in New Zealand? Applying for a loan is a relatively simple process in New Zealand, provided that you have all the relevant documents to hand. Before you even start looking for a property – especially if you want to be able to bid at a property auction – it’s a good idea to get your loan pre-approved. That way you’ll know how much you will be able to borrow, and be in a position to act fast when you find your ideal home or investment. If you’re planning to use a mortgage broker, they will work through the application process with you and help you pull together all the supporting documents you need. If you’re applying for your mortgage direct, you can either visit the bank face-to-face and talk to a mortgage advisor (some even have mobile lenders who will come to you), or many banks have an online process you can use to apply for conditional approval. If you’re applying online, you’ll need to enter how much you want to borrow as part of the application. If you’re doing the application in person you can ask the bank’s advisor to check the numbers then tell you how much they would be willing to lend to you. How long will it take to get a mortgage application approved? If you application is straightforward and you meet all the bank’s criteria you could get approval within a few hours. How you present your specific case to the lender can make or break your application. If your circumstances are a little different, speak with an experience mortgage broker who is well positioned to assist. It’s important to recognise that while conditional approval (which is usually valid for three months) will give you a good indication of your buying power and whether you are eligible for a loan, you’ll still have to go through a formal mortgage application process based on the specific property you wish to buy, which may include a property valuation. At that point you’ll have to prove you meet all the conditions attached to your pre approval. Banks are usually eager to poach mortgage customers from each other and may offer discounts or cash-back incentives to entice you to switch your home loan to them. But changing mortgage providers can be an expensive and time-consuming process and is definitely not something you should do without good reason. Since mortgage rates are usually substantially lower than personal loan or credit card interest rates, it can make sense to consolidate all your debts into a home loan with a single repayment. 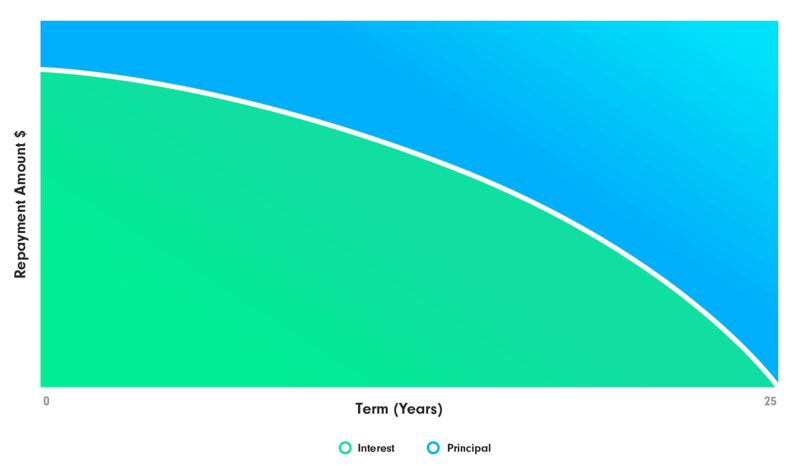 Remember, though, that converting a short-term debt into a long-term mortgage can see you paying much more interest in total over the full term of the loan. Releasing the equity you’ve built up in your property – through the repayments you’ve made or an increases in its value – can give you access to the cash you need to renovate, make larger purchases (such as a new car or a big holiday) or invest in another property. Refinancing can be easier than getting an unsecured personal loan or vehicle finance and may be lower cost – but again, remember that you may pay substantially more interest over the full lifetime of a long-term loan than you would on short-term finance, even if the interest rate is higher. Mortgages last for a very long time, and a lot can happen in 30 years! While the home loan you took out as a first-home buyer may have been the most affordable deal or the best match for your circumstances at that time, your needs may be very different ten years later, once you’ve progressed up the career ladder or started a family. Lending conditions, house prices and interest rates may all have changed considerably too. By refinancing you may be able to take advantage of better market conditions or leverage a strong transaction history and higher credit rating to get more favourable loan conditions. If the structure of your loan no longer suits your goals, tax position or financial circumstances you may want to refinance – for example to shorten the loan term, or switch from fixed to floating interest or to a revolving line of credit. If lower interest rates are what’s tempting you to refinance, be careful. Most mortgages have set-up and exit costs which can quickly outweigh the interest savings. Be especially wary if you currently have a fixed mortgage, as this may well have substantial break fees should you choose to terminate early. You may also have to pay other costs such as legal fees, or for a new survey and valuation of your property (although some lenders will offer to pay these for you as part of their incentive to move your mortgage to them). Despite the extra costs, refinancing can still be a good way to lower your monthly repayments and cut down on interest, provided you choose your new loan product wisely. A home loan calculator can help you check whether a switch is financially sound in principle – but once again, we strongly recommend that you seek professional financial advice before making any firm decisions about refinancing. When you refinance you are, in effect, applying for a brand new mortgage. Even if you go through your existing lender, you may have to prove all over again that you and your property qualify for a home loan. If your credit rating has worsened, or if the banks’ lending criteria or your financial circumstances have changed, there’s no guarantee that your application will be approved. And if it’s rejected, you could end up with a black mark on your credit rating. Note, too, that you may not be able to refinance if you have a guarantor on your existing mortgage. If you’re a property investor rather than a home owner, refinancing can be a very different story. Many investors build a property portfolio by leveraging equity in their existing properties. This can result in ‘cross-collateralisation’, where mortgages are secured on more than one property. Using this strategy may mean that you can acquire another, or even several more properties without having to invest any additional cash. Cross-collateralisation comes with pitfalls though: primarily that you may end up with less flexibility in future. For example, should you decide to sell one of your properties, your bank might insist that you use the sale proceeds to repay some of the principal on your other loans, to reduce your LVR ratio. There is a higher risk of this if some of your properties have dropped in value, lowering the overall value of your portfolio. There can be other drawbacks too – for example your lender may require you to revalue every property in your portfolio (at great expense) every time you wish to sell one. And as your dependence on your lender grows they may decide to restrict the types of loan or rates available to you (only offering you principal and interest repayment terms, for example, rather than a potentially tax-efficient interest-only loan). Refinancing your entire portfolio may enable you to get more favourable terms and conditions. Alternatively, you might be able to restructure your borrowings by taking out separate loans, with different banks on each property. Since changing the structure of your loans could have a major impact on your tax position and long-term financial security, it’s very important that you review your investment strategy and any decision to refinance with your financial advisor. How do I go about refinancing my property? Once you’ve signed the deal, your new lender will probably take care of all the process and paperwork for you, including closing your accounts with your previous bank.